Working with USDA and local communities, the Lower Platte North NRD constructed its first two rural water systems in 2006, linking Bruno to David City and Colon to Wahoo. Bruno’s original water system was often unable to keep up with demand during hot, dry summers. 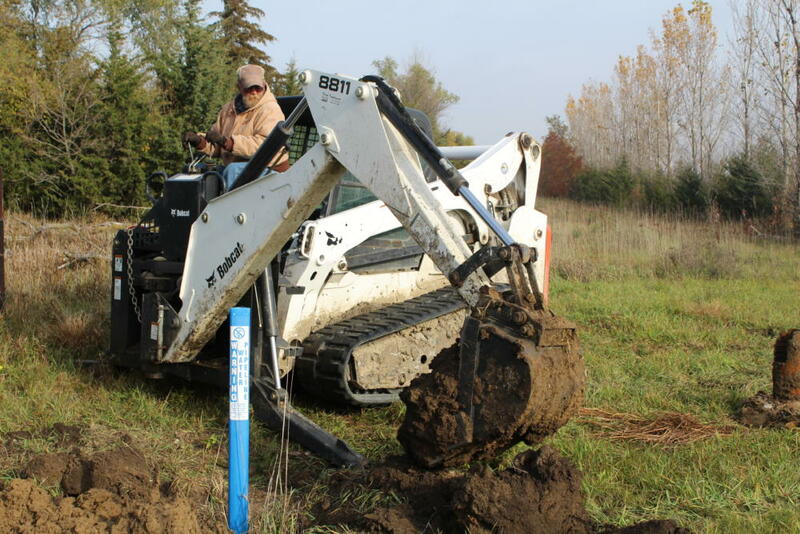 This led to a cooperative project to run a 9-mile water line from David City to Bruno. The NRD operates the water line, purchasing water from David City and delivering it to Bruno. Bruno’s local water utility is still in operation, distributing the water from the rural water system to its customers. The Butler County system cost $838,100. With a $626,000 grant from USDA, there were $212,100 in local costs. The system was completed in July 2006. The original Colon water system often had trouble meeting Federal standards for nitrate and arsenic, leading to a cooperative project to run a 5-mile water line from Wahoo to Colon. The NRD operates both the rural water line and the Colon water utility, purchasing water from Wahoo for delivery to Colon residents. The system was completed in late summer 2006 for a total cost of $915,000. The system received a $250,000 Community Block Development Grant and a $500,000 USDA grant, leaving $165,000 in local costs. The NRD is studying possibilities for expanding rural water service to several other communities, either by adding them to the existing systems or constructing new systems.